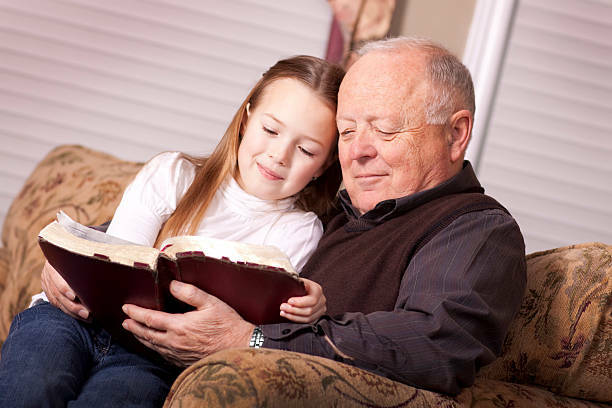 The mission of the Grandparents Ministry is to pass on our faith to our grandchildren. Some of the events we sponsor include Masses on the 4th Friday of the month, a Mass of Thanksgiving on the Feast Day of St. Anne and St. Joachim, the patron saints of Grandparents, and Bambinelli Sunday in December. – To affirm, validate and support grandparents. – To share experiences, successes, and challenges of grand parenting. – To build friendships and solidarity with the goal of giving our grandchildren the most precious gift of all……the gift of our faith! For more information, contact Adam and Anna Drost or call 770-396-5569. To learn more about passing on the faith, visit the Catholic Grandparents Association website. Thank you for the wonderful gift of my grandchildren. Please help me to be a good and loving grandparent. Let me gently pass on to them the great treasure of my faith. Show me how to teach them compassion. Through my witness, let my grandchildren learn to feed the hungry, give drink to the thirsty and care for those who suffer. Give me the desire, strength and time to assist my family in ways most helpful to them. May they learn from me how to be servants to one another. Inspire me to give my grandchildren a deep appreciation for the splendor of your creation. Together, let us treat this world gently — for the sake of grandchildren everywhere. Help me to respect the wishes and the decisions of my grandchildren’s parents. Even if I am tempted to disagree, please remind me that it is you who have set these parents in authority over my grandchildren. Lead me on the path of contentment, so I will know how to teach my grandchildren this most important life lesson. Let us be grateful for all you have given us, knowing that it is enough. And finally, dear Lord, when you call me home, let me leave my grandchildren a little closer to you, because of the time you have allowed me to share with them.